An uneasy calm prevailed along the Line of Control (LoC) in the twin districts of Poonch and Rajouri in Jammu and Kashmir with no report of ceasefire violation by Pakistan over the past 20 hours, officials said on Thursday. 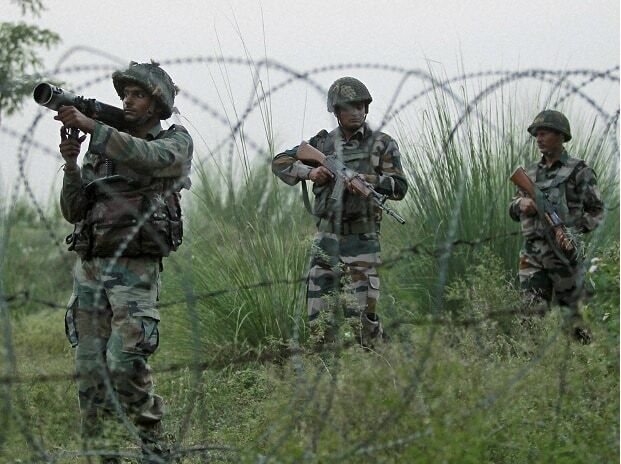 A defence spokesman said there was no report of ceasefire violation by Pakistan anywhere along the LoC in Jammu province, especially in the worst-hit Rajouri and Poonch districts since Wednesday afternoon. Pakistan had used artillery guns and long-range mortars to target civilian areas in the two districts, prompting strong and effective retaliation by the Army. The cross-border skirmishes between the two sides had caused panic among the border residents. "The Army remains on high alert all along the LoC and the International Border and is keeping a close watch on the situation," the spokesman said. There has been a spurt in ceasefire violations by Pakistan after India's preemptive air strike on a Jaish-e-Mohammad terror camp in Balakot on February 26 following the February 14 suicide bombing in Pulwama in which 40 CRPF personnel were killed. Four civilians, including three members of a family, were killed and several others injured as Pakistan targeted over 80 villages in over 100 incidents of ceasefire violations along the LoC in the state last week. On Wednesday, the Indian Army issued a stern warning to Pakistan against targeting civilians along the LoC, saying any further provocation or misadventure by it will have "dire consequences". The warning came after Pakistan targeted forward posts in Nowshera sector of Rajouri with 155 mm artillery guns which was retaliated by the Indian Army with Bofors guns. The spokesman said the visit of the defence minister to Samba and Akhnoor sectors for the inauguration of Bein bridge and Dhok bridge has been called off. "Fresh schedule will be intimated later," he said without giving reasons for the postponement of the visit.